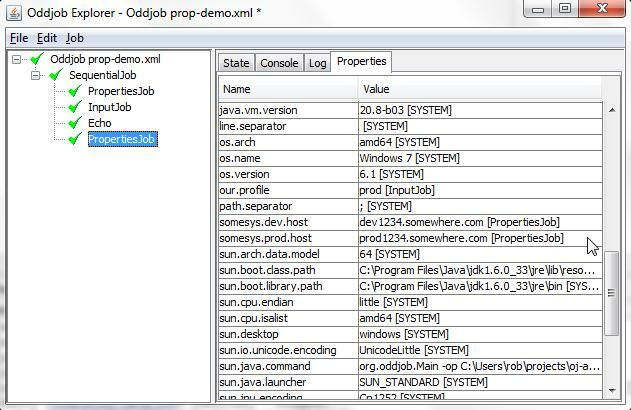 Loads the properties file into Oddjob. Displays the message on the console. Oddjob resolves the property before it is injected into the echo job bean. 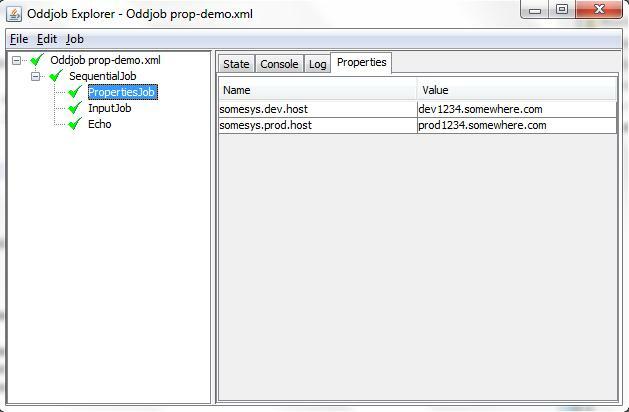 This brings us nicely on to the second cool feature for properties in Oddjob 1.2, which is that a properties job without any input displays all the properties available at that point in an Oddjob configuration and where they have come from. 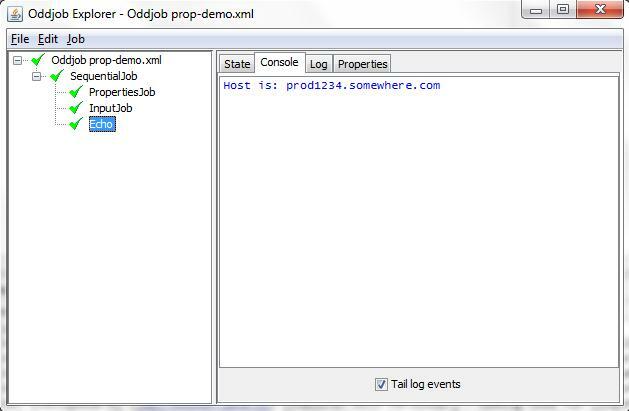 In addition to all the System Properties availble we see our two somesys properties, and our our.profile property. The square brackets show us where the property has come from, which is the name of the job. In our case we did not provide the properties and input jobs with a name and so the default name is used. 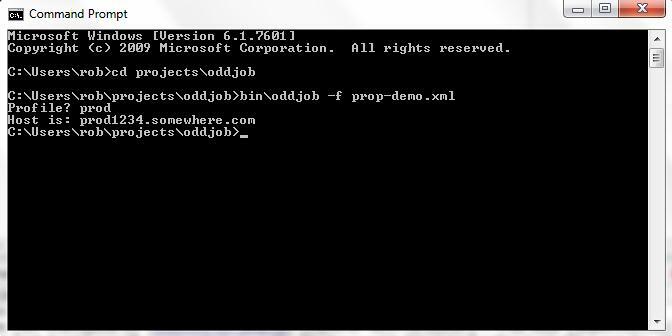 And that is two cool new property features in Oddjob 1.2.